It's the final North American Nintendo Download Update of 2017, but with most businesses still enjoying the Holidays it's a much quieter line-up than we've seen in recent times. That's not to say there aren't some extremely tempting options, with the Switch doing a lot of the heavy lifting. Let's get to it. SteamWorld Heist: Ultimate Edition (Image & Form, $19.99USD) - A fantastic title that previously graced the 3DS and Wii U, it offers a twist for the series with turn-based strategy that's combined with manual shooting and skillshots. It's unique and an excellent game all around, with this Switch version including all of the previous DLC; we sang its praises in our SteamWorld Heist: Ultimate Edition review. Arcade Archives VS. Super Mario Bros. (HAMSTER, $7.99USD) - The latest 'Arcade Archives' Nintendo release, this brings the arcade spin of the NES classic into our homes. Fewer Warp Pipes means you can't warp your way to the end as easily as in the original, there are also less power-up blocks and more enemy placements. In addition you'll find six new levels that were unique to the arcade before later being reused in Super Mario Bros: The Lost Levels. We enjoyed this in our VS. Super Mario Bros. review. Guns, Gore & Cannoli (Crazy Monkey, $9.99USD) - Ideal for 'shooting zombie freaks on the go', this run and gun title is set in a comedic and highly stylished take on 1920s America. You play as mobster wise guys and shoot everything in sight; it's fun if a little repetitive, as we explain in our Guns, Gore & Cannoli review. 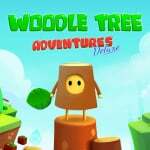 Woodle Tree Adventures (ChubbyPixel, $4.99USD) - Described as an 'old school platform game' with eight worlds to take on, it goes for a bright and cheery look for its 3D platforming. We'll see whether it's worth picking up in a review. 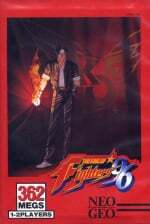 The King of Fighters '96 (HAMSTER, $7.99USD) - The third entry in SNK's lead fighting series saw some major improvements, namely the ability to fake smaller jumps, a perfect way to trick your opponents and avoid committing your fighter to a precarious situation. You can also charge up your POW bar and execute dodge rolls, nice touches and quite different for the time; naturally this ACA release will have the usual extra options and goodies, too. Style Savvy: Styling Star (Nintendo, $39.99USD) - For fans of fashion, modelling or just cutely stylised games about clothes, this series is often hard to resist. This latest entry has some new tricks and styles to show off, and we loved it in our review. That's it for this week - let us know what you'll be downloading in the poll and comments below. No SteamWorld double dip for me (already have it on 3ds) and that's the only one worth consideration this week IMO. Now back to hunting down all 900 Koroks AGAIN. This time in Master Mode. 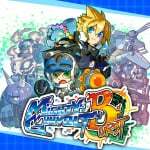 Don't we also get more Mighty Gunvolt Burst dlc today? I guess I have to click Style Savvy since I already picked it up for my daughter. Nothing for me...but that mighty gun volt dlc looks kinda cool. I will still continue to play Xenoblade. Nothing interesting for me, but that's ok, i'm still busy enough with other recent releases. However, Japan got L.F.O. -Lost Future Omega- today which looks like a nice Rez -inspired game. I have some credits built up that I’d like to spend toward Stardew Valley, Zelda BotW, Kamiko, Mighty Gunvolt Dual Pack, MARIO Kart.... what’s on sale?! Ahhhhh!! What's sad is this would have been considered a fairly packed release week a year ago. Finally, a week that is not overwhelming. I really wish I had more money. Time to pick up a second job! I'll pick up Heist during one of its' inevitable sales down the road. I'm kinda glad that things slowed down a bit, as I'm still ways off from finishing Xenoblade, not to mention even taking a peak at that final Zelda DLC. ya that's what I was thinking. Where has ACA Double Drangon gone?.. it was on the e shop last night and this morning, went to purchase and download now it’s gone?..?.. due to be released today? 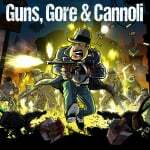 Why is Guns, Gore & Cannoli on the release list for today didn't that come out a week or 2 ago? Nothing for me this week, I loaded up on Christmas with a ton of downloads and am trying to go through them. I'm juggling Yooka-Laylee, Xenoblade 2 and the Zelda DLC, and just got Oxenfree earlier today for that steal of a discount price. So I guess it's just as well that this is a quieter week. @N8tiveT3ch I'm on Chapter 5, Xenoblade 2 is too good and I can't stop. Never beat Steamworld: Heist so yeah... it'll look even better on the Switch's screen. Im relieved to say... NOTHING for me this week. (And thats a good thing). I'm considering Heist, but that is all and I'm still not sure if I want that. not buying anything this week but that is just because i need to check my eshop card budget. Overspent a little for the holidays. So Nintendo still does that odd “eShop refreshes at a specific time” thing? Steamworld heist wasn’t available to buy when I checked a minute ago. @ThomasBW84 Thanks! Been looking forward to that dlc. I'll probably snag all 3. Nothing for me this week, but any Switch owners who haven't played Steamworld Heist yet are in for a treat. 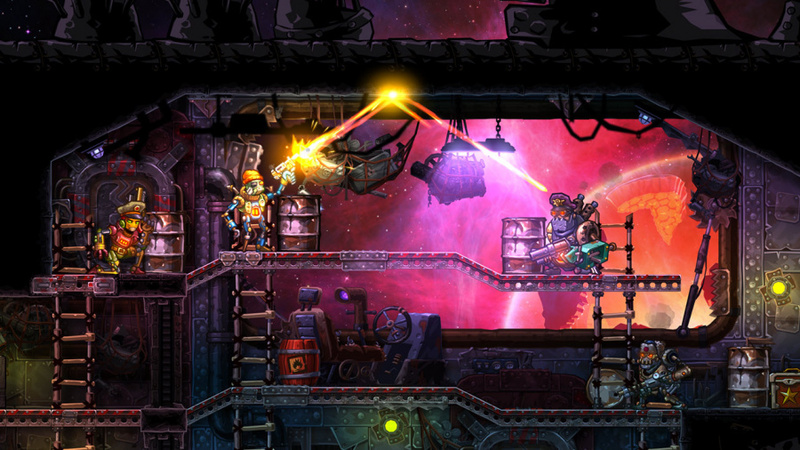 Looking forward to playing Steamworld Heist! @JJ286 Yeah I've put in around 150 hrs according to the Nintendo profile. I'm on the final chapter but I'm just f-ing around the world to extend it. With that being said are you leveling up "old school" style or staying at the inn? Just last night I bagged my first level 100 monster. To bring this rambling around, I like the game. @bezerker99 - You rang? Oh, wait.... I see. Never mind. I’ll just see myself back to the mean streets of Metro City. Already downloaded too many recently, so kinda glad for a slower week...never thought I'd say that. I selected SteamWorld Heist, but honestly, I haven't downloaded Stardew Valley yet...not sure which one to get. I'm finally making progress in Mario vs. Rabbids, closer to completing Odyssey, and I always go back to Arms and have a good time. Maybe nothing this week. We'll see. Thanks to the eShop sale, I'm only now grabbing some games that came out months ago. As with most eShop updates, to the wishlist, Arcade Archives! Guess I just have to wait until later! Meh! Think it is time to retire the Switch till Bayonetta comes out. Really nothing on the horizon in January. Uh I already bought Vs Mario last week and Guns was already out also last week - also no Double Dragon today for us Americans?? I already got VS Super Mario Bros last week, and I'm getting Style Savvy at some point this week. Bought SteamWorld Heist as quickly as I possibly could. I absolutely adore that game. 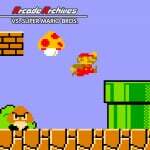 Already got VS Super Mario Bros last week and enjoyed it. Definitely getting the Mighty Gunvolt Burst DLC for my Switch, though. @N8tiveT3ch Mix, I battle a lot cause I love the battle system and I wait until I level like 3 levels on fighting then go to the inn and the bonuses last me for about 5-6 levels. Rinse and repeat. Steamworld Heist for sure, but I think I'll wait a little bit. After Xmas, I have wayyy to many games to get through. Actually that's how it was even before Xmas... I will definitely get it though, it was fantastic on the 3DS. Nothing for me this week. Well, maybe one or two of the indie games that are on sale, but they'd also be going straight to the backlog for a while lol. Got Odyssey for Xmas so I'll be playing that a lot. Beyond that I still need to finish the Zelda DLC (...and the rest of the shrines!) as well as Pokemon Gold and Yakuza 0 on other platforms. DB Xenoverse 2 and Blossom Tales are also in the backlog. 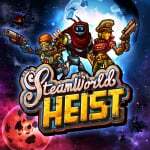 Double-dipped (sort of, never got the DLC before) Steamworld Heist:UE. Have played a few hours now. Fantastic game, and both docked and portable modes play wonderfully! I didn't realized until now how little I actually played of the game when the game arrived on the Wii U a year ago. I'll be getting the Mighty Gunvolt Burst DLC characters that were released today. Pretty happy I only got the original Steamworld Dig before I got a Switch. It's great to have both of the newer games on this console. @MeloMan Yeah I have no idea what happened to Double Dragon, but honestly it is probably the most ported game of all time. They already got most of the series in Arcade Archive form on the PS4 so it really isn't necessary to have it on the Switch. Luckily we got Double Dragon 4 at least, I would have liked to have the original on my Switch but I can easily live without it, especially considering how many great indie and ACA beat-em-ups we got. @joey302: I'm on the site now looking for the article. Link please? @Lroy oh man that would be awesome!! When they first started I thought ok at some point they will run out of Neo Geo games but then by adding Technōs and Irem and more wow! COME ON MOTHER 3 GIVE US REGGIE! I got Freedoom (open content version of Doom) , Blasphemer (open content version of Heritic) and Cave Story (via NxEngine) on the SNES Classic along with 60 Sega games (via ROMs purchased on Steam) this week. These along with the 100+ homebrew games I loaded onto it, I have a lot to keep me busy right now. Finally a short break for my wallet and time to catch up a bit. Got the 5 DLC characters from Mighty Gunvolt Burst I was missing. The Starship Troopers Stern Pinball table. The Aliens 3 pack for Pinball FX3. Blossom Tales and Enter the Gungeon. Eagerly awaiting Double Dragon Arcade, but lots to keep busy with for now. @ogo79 - I don’t know, I thought Reggie was one of Mother 3’s most overrated games and not a true sequel to Arakawa. To each their own though. Really wondering if Voez will ever go on sale. I'm content waiting for the update that adds controller support, but getting it sooner on a sale would be so nice. If Nintendo wants to push everyone to their own site to view the sales then maybe they should make sure it works properly. It wasn't working this morning and 12 hours later it still isn't working. I get the Price Drops and the highlights but not the sales. Unfortunately Europe Eshop has double dragon arcade. Don't know when north America will or if we get it. Wanted to get Double Dragon but as that's a no show then nothing for me. 8-bucks honestly feels expensive for an NES-quality game. Regardless, nice to see VS SMB finally getting a home release. Did anyone buy the Japanese tightrope walking/fighting game?